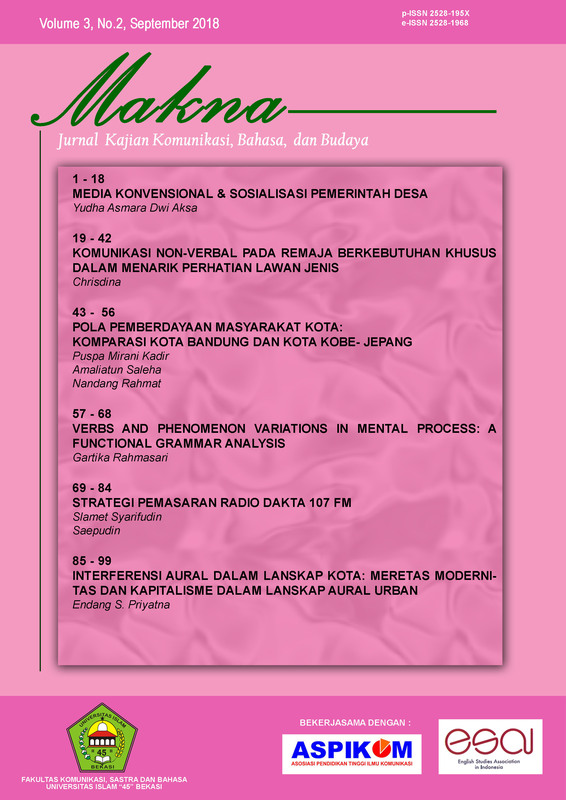 This article is a preliminary research on the study of urban soundscape, especially soundscape of City of Bekasi. Sounds and voices shaping the soundscape are analysed as cultural artefacts and products of urban cultural practices. Loudspeakers and their uses are the cultural artefact under scrutiny. This analysis owes to critical and theoretical approaches in sound studies. In its position as a preliminary research and writing, this article aims to unpack and portray the complexities of acoustic phenomena in urban space and its everyday life. The article tries to argue that urban soundscape relates to certain discourses surrounding urban cultural practices such as the discourse of modernity, consumerism, and capitalism.